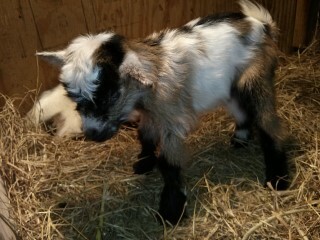 Terrell Farms is a breeder of Quality Nigerian Dwarf Goats for pet, milk and show...and mini pigs! Welcome to Terrell Farms! We have been breeding goats since 2007 and we absolutely love it! Please let us know if you have questions or would like to come for a farm visit! Located in beautiful West Georgia, Terrell Farms breeds registered and pet Nigerian Dwarfs, perfect for milk and show! We started raising miniature pigs in 2010 and love them just as much! If you are looking for a new baby, be it a goat or a mini pig, let us know! We can schedule your farm visit, take a reservation, and answer all the questions we know you have! Dizzy is about to POP! She is due 6/15/15 and I know she is ready for those babies to be outta there! And we are, too!